Were Hedge Funds Right About Buying BP plc (BP)? How do you pick the next stock to invest in? One way would be to spend hours of research browsing through thousands of publicly traded companies. However, an easier way is to look at the stocks that smart money investors are collectively bullish on. Hedge funds and other institutional investors usually invest large amounts of capital and have to conduct due diligence while choosing their next pick. They don’t always get it right, but, on average, their stock picks historically generated strong returns after adjusting for known risk factors. With this in mind, let’s take a look at the recent hedge fund activity surrounding BP plc (NYSE:BP). Is BP plc (NYSE:BP) a buy, sell, or hold? Money managers are becoming more confident. The number of bullish hedge fund bets increased by 2 in recent months. 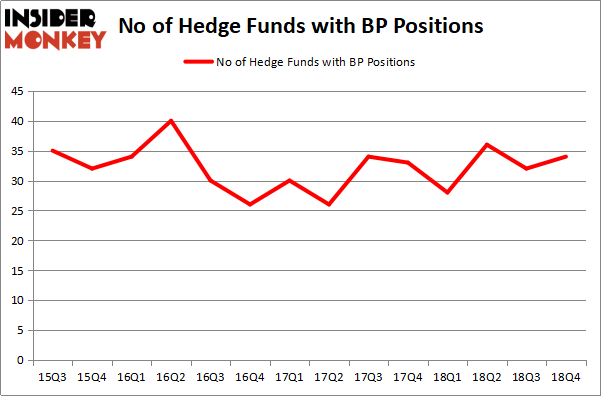 Our calculations also showed that BP isn’t among the 30 most popular stocks among hedge funds. BP was in 34 hedge funds’ portfolios at the end of the fourth quarter of 2018. There were 32 hedge funds in our database with BP positions at the end of the previous quarter. Let’s analyze the recent hedge fund action regarding BP plc (NYSE:BP). How have hedgies been trading BP plc (NYSE:BP)? Heading into the first quarter of 2019, a total of 34 of the hedge funds tracked by Insider Monkey were bullish on this stock, a change of 6% from one quarter earlier. Below, you can check out the change in hedge fund sentiment towards BP over the last 14 quarters. So, let’s examine which hedge funds were among the top holders of the stock and which hedge funds were making big moves. When looking at the institutional investors followed by Insider Monkey, Renaissance Technologies, managed by Jim Simons, holds the largest position in BP plc (NYSE:BP). Renaissance Technologies has a $430.9 million position in the stock, comprising 0.5% of its 13F portfolio. Sitting at the No. 2 spot is Fisher Asset Management, managed by Ken Fisher, which holds a $294.9 million position; 0.4% of its 13F portfolio is allocated to the company. Other peers with similar optimism consist of Richard S. Pzena’s Pzena Investment Management, Peter Rathjens, Bruce Clarke and John Campbell’s Arrowstreet Capital and William B. Gray’s Orbis Investment Management. As one would reasonably expect, specific money managers were leading the bulls’ herd. Deep Basin Capital, managed by Matt Smith, established the largest position in BP plc (NYSE:BP). Deep Basin Capital had $25 million invested in the company at the end of the quarter. Matthew Hulsizer’s PEAK6 Capital Management also made a $4.5 million investment in the stock during the quarter. The other funds with new positions in the stock are Peter S. Stamos’s Stamos Capital, Sara Nainzadeh’s Centenus Global Management, and Nick Thakore’s Diametric Capital. Let’s now take a look at hedge fund activity in other stocks – not necessarily in the same industry as BP plc (NYSE:BP) but similarly valued. These stocks are Citigroup Inc. (NYSE:C), Abbott Laboratories (NYSE:ABT), Amgen, Inc. (NASDAQ:AMGN), and DowDuPont Inc. (NYSE:DWDP). This group of stocks’ market caps resemble BP’s market cap. As you can see these stocks had an average of 63.5 hedge funds with bullish positions and the average amount invested in these stocks was $4216 million. That figure was $1377 million in BP’s case. Citigroup Inc. (NYSE:C) is the most popular stock in this table. On the other hand Amgen, Inc. (NASDAQ:AMGN) is the least popular one with only 46 bullish hedge fund positions. Compared to these stocks BP plc (NYSE:BP) is even less popular than AMGN. Our calculations showed that top 15 most popular stocks among hedge funds returned 19.7% through March 15th and outperformed the S&P 500 ETF (SPY) by 6.6 percentage points. Hedge funds were also right about betting on BP as the stock returned 17.4% and outperformed the market as well. Here is What Hedge Funds Think About Cisco Systems, Inc. (CSCO) Were Hedge Funds Right About The Coca-Cola Company (KO)? Should You Buy The Boeing Company (BA)? 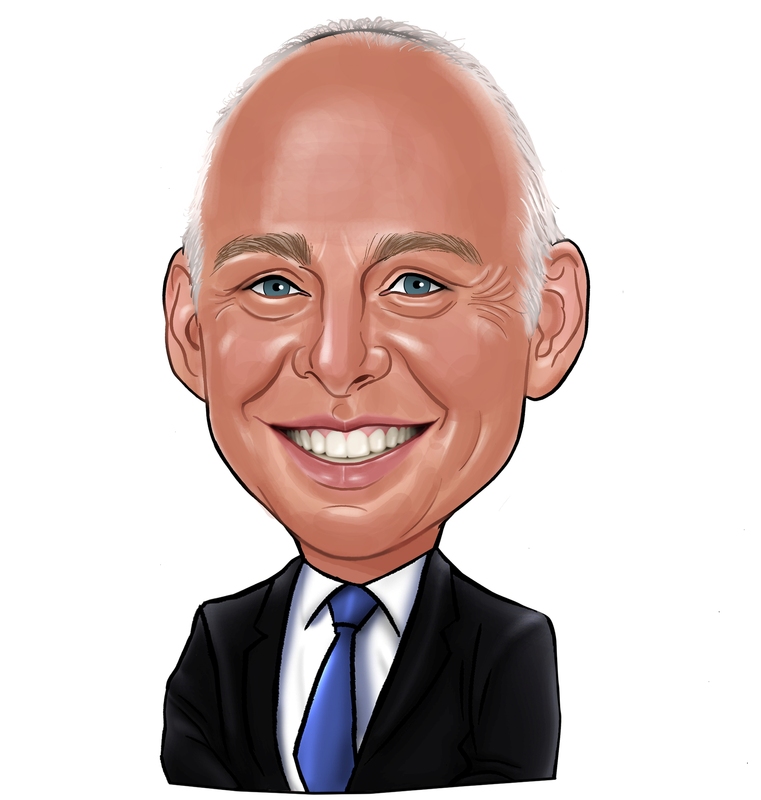 Were Hedge Funds Right About Novartis AG (NVS)? Do Hedge Funds Love Taiwan Semiconductor Mfg. Co. Ltd. (TSM)? Were Hedge Funds Right About Merck & Co., Inc. (MRK)?